Ever wonder what happened to the Rockefeller Christmas Tree after it’s removed from Rockefeller Plaza? Well, the next time you’re driving around Philadelphia you might just drive right by it. The 2011 Rockefeller Christmas Tree, which came from Mifflinville, Pa., was milled into lumber that Habitat for Humanity used to build homes on the 1900 block of Morse Street and on Gratz Street in North Philadelphia helping two families realize their dreams of owning homes. One of the most famous Christmas trees in the world, the 80th edition of the Rockefeller Christmas Tree was lit up Wednesday night. Tishman Speyer, co-owner of Rockefeller Center, participated in the building of the Christmas tree wood-built homes. 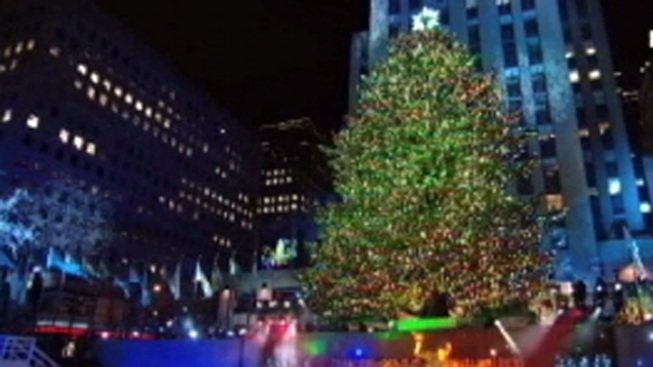 Since 2007, wood from past Rockefeller Christmas Trees have been used to build homes in Stamford, Conn., Hudson Valley, N.Y. and other locations in the same state where the tree was grown. No word yet on where this year’s tree will go after the holidays but New Jersey seems like a good bet with this year's tree coming from Mount Olive.